Conceptually, new technologies have affected individuals and organisations resulting to the rethinking of all the fundamental operating assumptions of many organisations and the roles in them. Organisations exist in a rapidly changing environment, necessitating responsive and often radical strategic capabilities. This strategic move has allowed organisations to create new demand, open up new market space, apply creative solutions to problems and exploit opportunities to enhance or to enrich people’s lives - innovation. The Information Technology (IT) industry is competitive by any market criteria used. Unlike its counterparts from traditional manufacturing industries, IT products have short shelf-lives (Mody et al., 1987) and appeal for customers and consumers. Survival for IT firms thus depends on a constant stream of new products and/or incremental efficiencies of existing products from the firm’s innovation assembly line. Within the technology industry, the market for IT products is perfectly competitive with little or no barriers to entry. 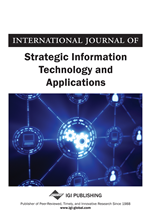 This paper focuses on investigating why matured stage IT firms finds it so difficult to innovate. It will also assess some relevant growth strategies and further review related literature on how matured IT firms can build an organisational culture that promotes innovation. A new conceptual framework necessary to formulate strategies for surviving will also be developed and diagrammatically represented. In any entrepreneurially managed organisation there is the desire to grow the organisation and at an increasing pace. Entrepreneurially managed organisations provide an organisational culture that encourages employees to generate ideas, experiment, and engage in other tasks that might produce creative output. However, traditionally managed organisations prefer the growth to be more manageable so it does not unsettle the organisation by putting at risk the resources that the organisation controls as well as the jobs and power of top management.